Rural fincas and villas near the coast are the most popular homes among second home buyers in Spain’s Menorca at present with high demand and low supply pushing prices upward, a new analysis suggests. 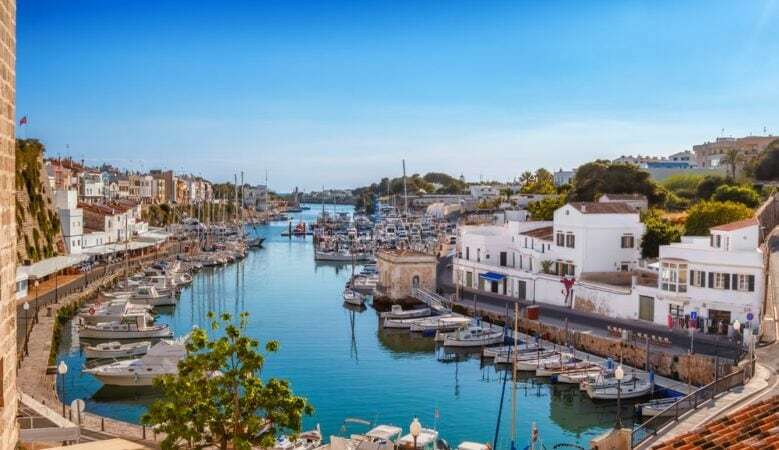 The property marked in Menorca, for example, is seeing a sustained rise in prices, up 15% in the last two years across the island, according to research from Engel & Volkers. ‘We have seen the largest price rises with villas and classic country estates in expensive coastal areas,’ said Gary Hobson, the firm’s managing director, who added that the reason behind the trend is an increased level of demand for second homes. Villas in the less touristic coastal resorts of Binibeca, Es Grau, Sa Mesquida and Alcaufar are particularly sought after with asking prices ranging from €900,000 to €3 million in 2017. The rarest properties are fincas with sea access that can achieve prices in excess of €7 million, according to the firm. It explains that a limited supply of homes for sale along with the island’s strict building regulations are combing to push up prices. This is unlikely to change as Menorca must adhere to further restrictions to maintain its status as a UNESCO biosphere reserve. ‘New construction on undeveloped land plots is prohibited. That is why availability of such homes is limited and they come onto the market so infrequently,’ said Hobson. There is currently new building development potential only in tourist regions and the cities of Mahón und Ciutadella. Interest among prospective buyers is focused here on townhouses and asking prices ranged from €350,000 to €1.5 million. The research has also found that properties on Menorca are particularly popular among buyers from the Spanish mainland and the UK. In recent years, demand has also increased among buyers from France, Germany, Belgium, and North America. One factor contributing to this development is the expansion of flight connections with over 80 new routes in place recently. Another trend affecting the property market on the island is an increasing focus on quality tourism with several boutique hotels opening in hideaway locations as relaxing retreats. According to Hobson this type of hotel is attracting wealthy holidaymakers to the island and, in turn, prospective buyers of second homes. In addition to private use, the opportunity to offer short term holiday rentals also can play a key role for some clients in their decision to buy. Due to the consistently high demand and limited number of properties for sale, Engel & Völkers anticipates further price rises in the coming months. This is especially likely for properties near the coast and fincas with sea views. The restrictions on new developments mean that no major building projects are planned for the time being.